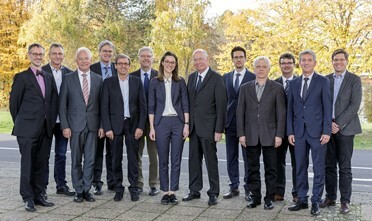 3rd International BioSC Symposium "Towards an Integrated Bioeconomy", which took place from Nov 12-13 at Gustav-Stresemann-Institut, Bonn, Germany. Stephan Noack gave a talk on “Towards sustainable hybrid production of precursors and high-value compounds”. Jülich Biotech Day, which took place on Nov 9 at Forschungszentrum Jülich, Jülich, Germany. Andreas Klein gave a talk on “Production of prodigiosin derivatives – a colourful bridge between biotechnology and chemistry”. Stephan Noack gave a talk on “From 2nd generation feedstock to value-added products – suitability of Corynebacterium glutamicum for biorefinery application”. Stephan Noack was rewarded with the InnovationPlus award of Forschungszentrum Jülich. In collaboration with the industrial partner Sandoz, a world leader in generics and biosimilars, and the Microscale Bioengineering group of Dietrich Kohlheyer, novel microfluidic chips were developed for single-cell analysis of fungal species. These chips enable the continuous and automated investigation of the morphology and metabolic activity of filamentous fungi, requiring less material, personnel and time compared to existing approaches. The 2nd HyImPAct project meeting took place on Oct 29 in Jülich at the IBG-1: Biotechnology. Joint meeting between members of HyImPAct and the freshly started LINK-projects “XyloSenS” and “R2HPBio”. CLIB event „Fermentation and DSP of high-performance ingredients“, which took place on Sep 26 at RWI4 building, Düsseldorf, Germany. 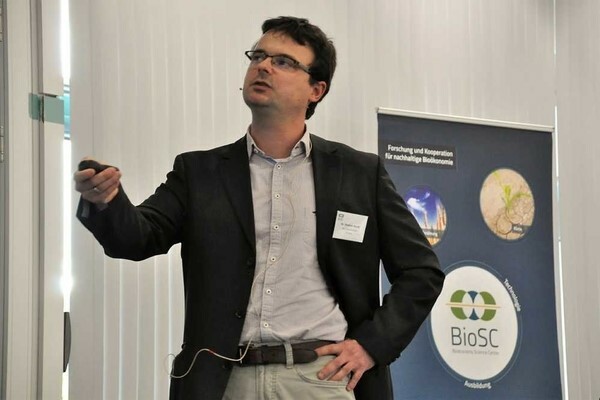 Stephan Noack gave a talk on “From miniaturization to automation of bioprocess development”. Congratulation to the teams of Martina Pohl and Sonja Herres-Pawlis for their successful project applications in the 1st BioSC SEED FUND 2.0 – LINK call. The two projects “XyloSenS” and “R2HPBio” will start in Oct 2018 and are funded for a two years period. ProcessNet-Jahrestagung und 33. DECHEMA-Jahrestagung der Biotechnologen 2018, which took place from Sep 10-13 at Eurogress, Aachen, Germany. Kevin Mack gave a talk on “Efficient synthesis of chiral amino alcohol using 2-step enzyme cascades in repetitive batch mode” and Douglas Weber presented a poster on “Synthetic enzyme cascades towards pharmaceutical active amino alcohols starting from renewable carboxylic acids”. ECO-BIO Challenges in Building a Sustainable Biobased Economy 2018, which took place from 4-7 March 2018 at Royal Dublin Society, Dublin, Ireland. Stephan Noack gave a talk on “From 2nd generation feedstock to added-value products - Suitability of Corynebacterium glutamicum for biorefinery application”. 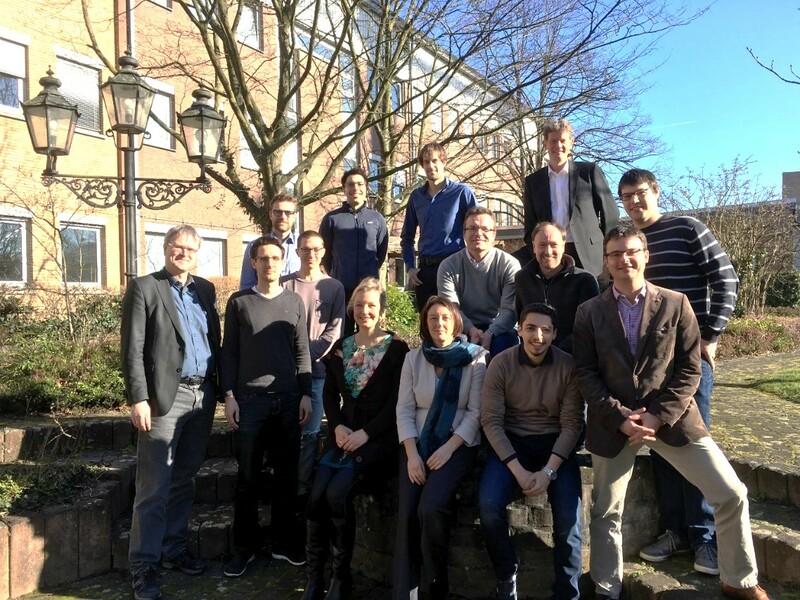 The first HyImPAct project meeting took place on Feb 14 in Jülich at the IBG-1: Biotechnology.